William Nicholson was the playwright who wrote “Shadowlands” and “Gladiator” so it may surprise you to read that The Wind Singer is a children’s book (or at least young adults). It is a dystopian fantasy, centred on Kestrel and Bowman Hath, twin sister and brother who live in the city of Aramanth with their mother, father and baby sister. In Aramanth everyone is ranked and housed according to their success or otherwise in examinations. From the first toddler test to check whether a baby can identify colours and is out of nappies to the advanced tests for the father of the family. The Hath family live in the Orange sector which we would identify as being for blue-collar workers although they are obviously intellectually superior but don’t toe the line. Kestrel is strong and independent and always protects her sensitive, fey, twin brother Bowman. The whole Hath family are closely tied by love and are torn apart by a mistake made by Kestrel. She and her brother realise that the city will only become whole and normal if they can find the missing part of the Wind-Singer a strange tower erected by another race thousands of years before. Their quest takes them on a long journey accompanied by Mumpo, a very simple boy who loves Kestrel. Their journey, bravery and adventures make up the rest of the story. It sounds predictable but it is a compelling read and this is both a complete story in its own right and part one of a trilogy with very different, more demanding events in the next two books. I think this is essential reading for today’s constantly tested young people, especially the children of competitive parents, but it is also a very enjoyable read for any adult who enjoys a fantasy read. It’s a while since I read a YA book although they used to be my first choice of genre. I was a little unsure of the werewolf theme but the text of the first page enthralled me. Mia finds herself orphaned after the violent death of her father and is surprised at the sudden appearance of Sebastian Roberts, saying he is her uncle. A smart, arrogant man, resembling her cruel father, he whisks her away to Hood Academy, his private boarding school, and begins to seem kind and considerate. But Mia longs to find her elder brother, Zak, who has disappeared after running away from their home. She begins to encounter others who warn her to be careful who she trusts. There is something reassuring about the boarding school setting, where Mia finds a reliable friend, Elizabeth and a caring teacher, Miss Ross. There is even a school bully, Felicity, but in this school the danger is life-threatening. The girls have been chosen to train as werewolf hunters and Mia is surprised to discover she has fighting skills. But there are mysterious goings-on behind locked doors and she begins to wonder if the werewolves are all bad. In addition to the mystery and daredevil adventure there is burgeoning romance and loyal friendship which make this novel heartening to read as well as thrilling. I am now tempted to sample Shelley Wilson’s Guardian series. Samantha Shannon was born in West London in 1991. She started writing novels at the age of fifteen and studied English Language and Literature at St Anne’s College, Oxford, specialising in Emily Dickinson and Film Studies. 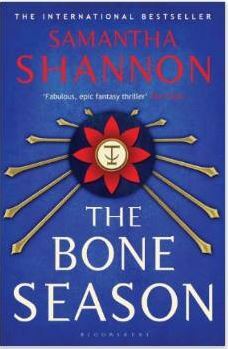 In 2013, she published The Bone Season, the first novel in a seven-book series of fantasy novels. Paige is put into the care of Warden, a Rephaim. He is not human but his character is reminiscent of Rochester in Jane Eyre. Paige has the courage and determination of Katniss in The Hunger Games but she insists on fighting everyone and everything which results in monotonous injuries. This book contains two stories; the first and longest is Payback is a Witch. I would not usually pick up a fantasy book as my first choice, but I have found that those written for YA are by far the best. Fantasy requires an inventive mind, creative ideas and preferably, a sense of humour. Luckily Barb Taub has all three, in spades. As far as I am concerned, you are on to a winner if you live with an enormous Norwegian Forest cat, called Bygul, especially if she is also a goddess who can vanish. But the real heroine of this story is Claire Danielsen, a young witch struggling to continue the work her mother and grandmother did before her. Living alone in the woods she channels the power given to her by her goddess in order to fight evil. Six years earlier she had trained as a Warden to protect the innocents against those who plan to destroy Null City, alongside Peter Oshiro, whom she had loved and walked away from, but now he is back in her life. Claire’s character is particularly well developed. We feel her confusion, her determination and her pain. She tries to shield Peter from harm and to maintain her lonely independence as the increasing danger of Barghests, the Black Hounds, and the unsolved mystery of her mother’s death cause her to banish both him and her goddess, Bygul. 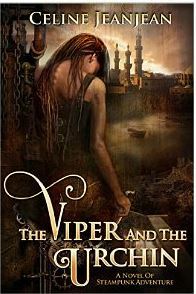 This is a great read for excitement, tension, romance and a twist in the tail. The second story, Just for the Spell of it, is a shorter and lighter tale with less feeling of impending doom although there are parallels with the first story. Once again there is a female heroine with special powers with an attractive male sidekick. Eirie Danu is a radio DJ with a popular bubbly personality; Liam, her fellow Warden, is a serious, unemotional young man in person, but he is also a zany prankster who rings up her radio show with daft messages. Eirie and Liam are given the task of finding a missing Argentinian soccer player and a baby who is apparently Eirie’s sister. We discover that Eirie was the daughter of the Queen of the Fae from a land of eternal youth but Eirie had abdicated as heir when she thought her mother had died several years ago. We accompany Eirie and Liam through frightening adventure and a roller-coaster relationship as she reveals to him that she is more than just a fun loving girl and they both make decisions about commitment. 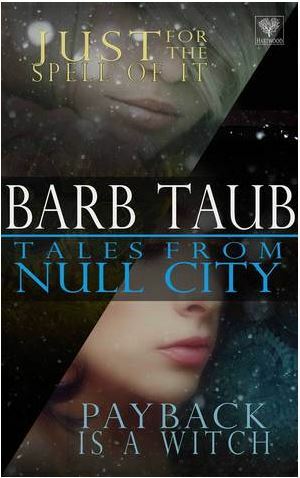 These two refreshingly different tales are well worth investigating and I will certainly be seeking out the earlier books to learn more about Null City.